Scope and Content Ascog was a fairly dispersed, largely linear settlement until the mid- to late 19th century boom in building to meet the needs of the tourist trade saw Rothesay expanding to the extremities of Port Bannatyne in the north and Ascog in the south. This area became popular with wealthy Glasgow industrialists and merchants looking to set up a home from home on the island. As a result many of the dwellings here are large detached villas set in extensive grounds. Dating from the late 19th century, 1 and 2 Millburn Cottages sit on a side road leading from the main coast road to/from Rothesay. This pair of single-storeyed cottages have some decorative features including corbelled gabled projecting entrances with deep timber eaves. 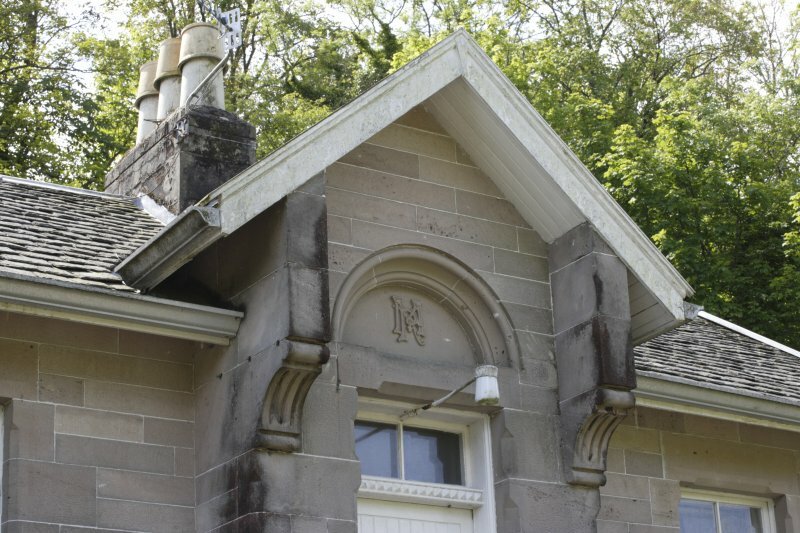 Above each entrance door is an hoodmoulded arched plaque bearing the initials 'MR' (left, No 1) and 'TR' (right, No 2). These initials probably represent Thomas Russell and possibly his sister Margaret. Thomas Russell was a prominent resident of Ascog and Rothesay. He took a great interest in making improvements to the town with the development of tenements in Russell Street, and in 1873 provided the bandstand which sits in the Esplanade. He was a prominent industrialist and became partner in Walter Macfarlane & Co Saracen Foundry after his sister married Walter Macfarlane. There are several examples of the Saracen Foundry's fine decorative ironwork throughout Rothesay, including that on the Winter Gardens.